Have you ever had a situation where you needed to print something and you couldn’t find a way to get it done? Printing can be hard sometimes, especially if your printer is broken, out of ink/paper, or just giving you fits. Or sometimes, you just run out of time, like when you’re running late for work in the morning. It would be nice to have a quick, easy way to print from, say, your phone while on the way to your office. Google has just made this possible with Gmail for Mobile and Google Cloud Print. It allows printing from any device, OS, or browser without the need to install drivers, and it’s a life saver. In this article, I’ll show you how to set this up so you can take advantage of this easy-to-use print service. Google Cloud Print makes printing more intuitive, accessible and useful, by allowing you to print to your printers from Google Cloud Print enabled apps on any computer or smart phone. By ‘enabled apps’, they mean Google Chrome. 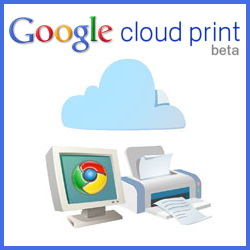 In order to connect your printer to Google Cloud Print, you will need to install the latest beta version of Google Chrome on a computer that’s connected to a printer. If you’re already using a version of Google Chrome and you’re not sure if it’s the right one, don’t worry. Just proceed with the next steps and if you run into a problem you’ll know you need to update. How Can I Start Using This Print Service? To get started, the first thing you need to do is connect your printer to Google Cloud Print. Right now this step requires that you have a Windows PC (XP, Vista, or 7), but Linux and Mac support are supposedly coming soon. To connect your local printers with Google Cloud Print, you need to enable the connector in Chrome. In order to do this, open up your Chrome browser, click on the wrench icon in the upper right-hand corner, and select Options. Next, visit the Under the Hood tab and scroll to the bottom where it says ‘Google Cloud Print’. Click Sign in to Google Cloud Print and a dialog will appear asking you to sign in to your Google Account. Once you sign in, Google Cloud Print will be enabled. After signing in, you will see a confirmation page which asks you to print a test page (if you like) or click OK to continue. Now that you’re all set up, you can print from your cell phone. 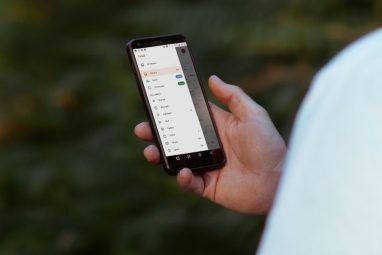 Just head to Gmail on your iPhone or Android browser, select the email you want to print, and choose Print from the drop-down menu in the top right corner to use it. 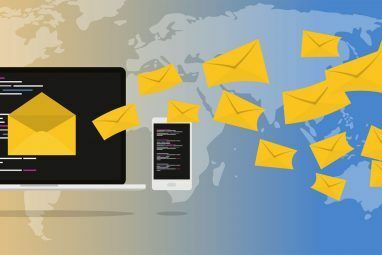 You can print email attachments, like PDF’s or Doc’s, by clicking the Print link that appears next to them. Google only recently announced that they were rolling out this feature in US English, so if you don’t see it right away they advise you to check back. There is also a Google Cloud Print help center that you can check out if you’re curious as to what exactly Google Cloud Print is or how you can connect to it. The page offers many resources, including help articles, basic information, and troubleshooting techniques in case you run into any number of various problems you may encounter while trying to print, or set up printing, on multiple printers. I think this is a really useful workaround for trying to print something on the fly. If you enable this on a printer at your office or at home, you can effectively print something important from your phone and have it waiting for you when you get there. If you’re in a rush for time, this should certainly help. What do you think of Google Cloud Print? Will you be printing from your phone? Explore more about: Cloud Computing, Gmail, Printing. This works, but be careful! If you print a conversation, it prints ALL of it. I wasted a lot of paper on a message that included several replies and duplicated long footers. . . I did not see a way to print certain pages, selections, etc. I could not print an attachment, just an email message. You do have to open your message from a browser, so printing straight from your inbox doesn't work either. I am going to say that this isn't as useful as I had hoped. However, perhaps those features will be added in the future. Not trying to be a smarty pants, but honestly speaking how is this better than placing a file in my dropbox either from my smartphone or my computer and then opening the file via the web interface of dropbox in any other machine that has printer access? That's certainly another option for you. Just trying to show people what's out there. An innovative & life-saving solution!! Trust Google to develop the same. Doesn't work on my Droid. No drop down menu on GMail with "print". Hmmm it may not be rolled out to everyone yet, so I'd suggest to try again in a few days. Wow, can't wait to try this!!! Soooo many times I need something off my phone and it's so complicated trying to get it where I can print it. This will be a life saver for me! Causes error reports in WXP. Also, doesn't pick up all printers, specifically, Adobe PDF, and network printers. Thank for us to help me. Thanks for this info, Steven. And trust Google to come up with a lifesaver.